With the assessment of the risk to the rights and freedoms of natural persons the GDPR introduces a novel concept. In a workshop participants were introduced to the notion of risk, based on the framework of the German data protection authorities, focusing on personal data breach notifications. This risk framework was then used by participants to assess case studies on data breaches. Taking the perspective of either a controller or a data protection authority, participants discussed the risks, the information provided and the necessary steps required by the GDPR after a data breach. 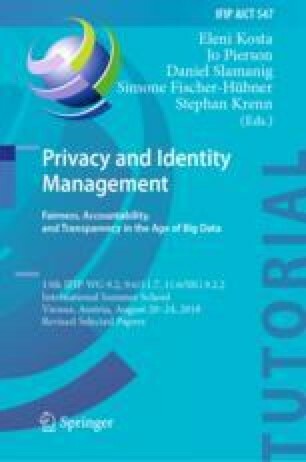 This work is partially funded by the German Federal Ministry of Education and Research through the project ‘Forum Privacy and Self-determined Life in the Digital World’, https://www.forum-privatheit.de/forum-privatheit-de/index.php and the project EIDI (efficient notification after digital identity fraud), https://itsec.cs.uni-bonn.de/eidi/.